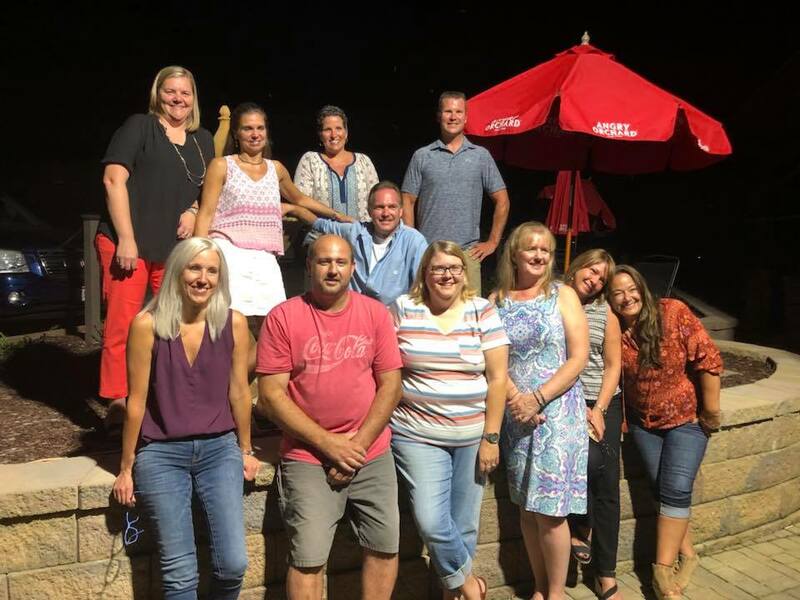 The Streetsboro Class of 1988 met for a 30 Year Group Gathering on Saturday evening, September 1, 2018. Back Row: Teresa M (Hess) Bracken, Robin M (Vasickanin) Carder, Mary E (Curran) Kline, CJ Valenti, Christopher S Collise. Front Row: Jennifer E (Gilley) Snyder, Eugene Manhard, Mary C (Emerick) Rodriguez, Melinda "Mindi" (Maley) Ackermann, Susan M (Kutyba) Marouse, Sheila A Biltz.